Residents of Blaize, St Andrew, helping themselves to a sample. 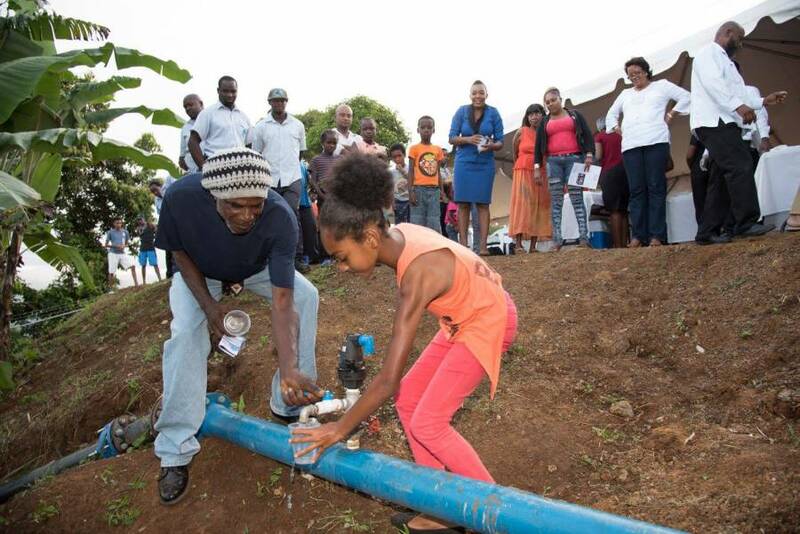 Blue satin ribbon set against a mixed backdrop of tropical greenery and a sunlit Atlantic Ocean provided the ideal settings for what was the official commissioning of the Blaize Rain Water Harvesting System on Thursday, 28 July 2016. Persons stood at a location, that only a year ago was devoid of the grand structures meant to celebrate. Through the vision of NAWASA, the support of the Government of Grenada, and the generosity of the German Government through the German Pilot Programme “Integrated Climate Change Adaptation Strategies” (ICCAS) funded by the German Federal Ministry for the Environment, Nature Conservation, Building and Nuclear Safety, through GIZ, the community of Blaize officially became the beneficiary of Grenada’s first Community Based Rainwater Harvesting System. The fanfare associated with this auspicious occasion was witnessed by personages including Minister of Public Utilities Hon. Gregory Bowen, Minister for Agriculture Hon. Yolande Bain-Horsford, Parliamentary Representative for the Constituency of St Andrew North East and Minister for Sports Hon. Roland Bhola, Mrs Margit Potgier, Honorary Consul for the Federal Republic of Germany, Mr Dieter Rothenberger, Head of GIZ – ICCAS in Grenada, representatives from NAWASA’s Board of Directors, Ministries of Agriculture and Finance and of course residents of Blaize in St Andrew. Among the many immediate benefits of the EC $370,000 project is that of providing a more reliable water supply to satisfy the domestic needs of the residents and improved hygienic conditions in their homes. Now completed, rain water is harvested in a 15,000 square feet rain water roof catchment with a galvanised sheet cover; storing of rain water in a 50,000 gallons reinforced concrete tank; and piped distribution network from the tank to supply water to individuals’ homes. There are plans by the Authority to seek funding for an additional 50,000-gallon system in the not too distant future. 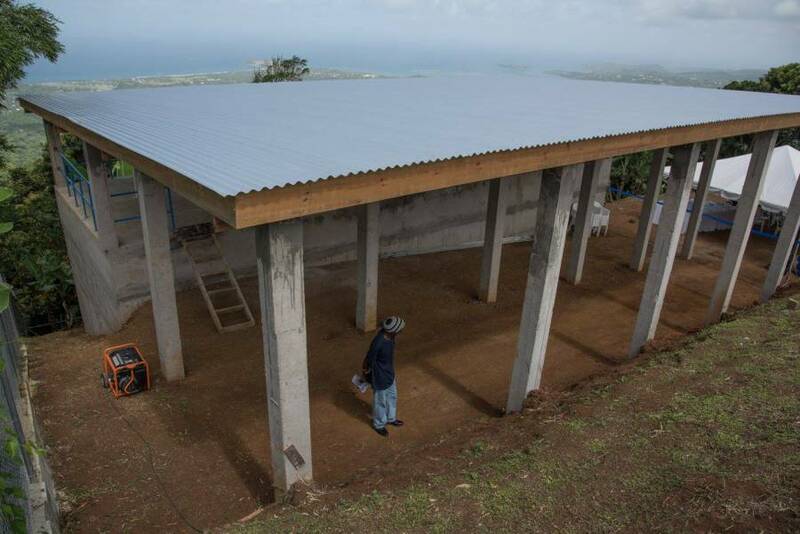 Once materialized, Blaize will be fully covered with a supply of potable water. NAWASA’s Board of Directors made the decision to waive the connection fee which evidently is good news for the residents. Many have already embraced the decision and have received their connection and today are enjoying the benefits of an adequate water supply.